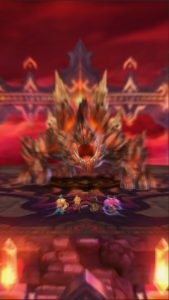 Dragalia Lost is a game that I had no expectations going into, as it’s a mobile game. I am very picky about what mobile games to try, but based on my experience with Fire Emblem Heroes, I figured this was worth a try. I’ve never played any ARPG on mobile before, so that was a major concern of mine. I was mostly worried about connectivity and performance on the phone, much more than the actual game controls. After a week of Dragalia Lost being released I have put in a decent amount of hours to get a good enough feel of the game. 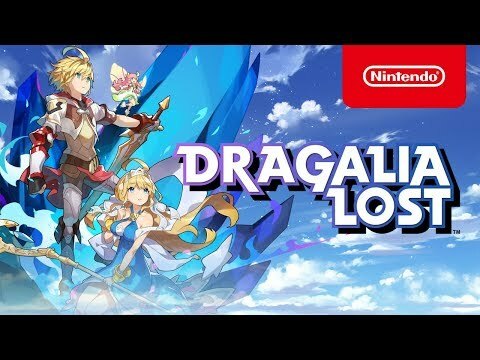 Dragalia Lost is not for everyone, but as an ARPG fan in general, who loves loot-based games I am pleased so far. The best part of the game is the dragon transform mechanic, which you transform into a dragon after a certain amount of time and splash the enemy with whatever the element is of that dragon. Since this is a gacha game, you need special crystals to summon ‘new adventurers,’ which is not surprising, but how generous are they? I have done about five full summons and I have two five star adventurers, along with two five star wyrmprints, which are items that you equip to characters for enhancement. After playing Dragalia Lost for a while you quickly realize this will require a lot of more time investment to get to the top and even keep up than a game like Fire Emblem Heroes. That’s not a bad thing, but makes being free-to-play much tougher. There is plenty grinding to do to obtain items to be used for upgrade, as well as a castle that each player has to upgrade and gather resources over time, similar to Clash of Clans, except it doesn’t get attacked. There is a lot to do, plenty of screens to tap, and that is probably the biggest downside of the game. The UI could use some work, especially the team screen and equipment screen for each adventurer, as the font is so tiny you can’t see how much an item adds to the Might level of your character. Might is the rating each character gets, which is added together for the team and serves as a barometer for which quests or levels you can or cannot enter at a given time. Another major element to Dragalia Lost is the multiplayer. I am usually a bit slow to enter the multiplayer modes of any game, but this week there is a raid, where you take your team of four adventurers to battle a big monster for big limited event loot. I should not that there is a bug where if you have “Power Saver” enabled you can’t connect to other people, so turn that off temporarily for co-op. My first raids ran pretty smoothly, and surprisingly enough, the performance on my couple years old Android HTC One M9 was actually pretty good. All in all, Dragalia Lost is fun for now, but the time investment may keep me away from it in the future. You should at least give it a try.